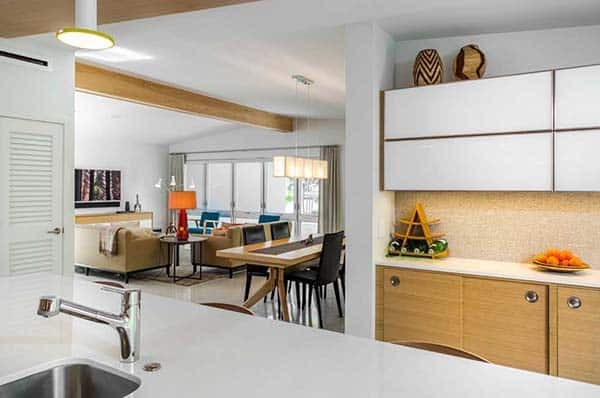 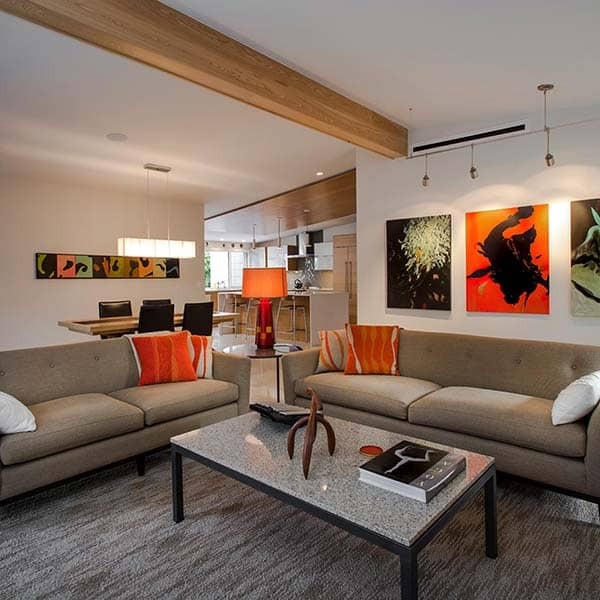 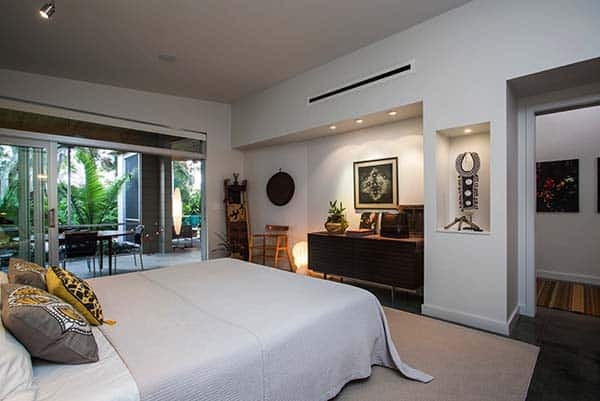 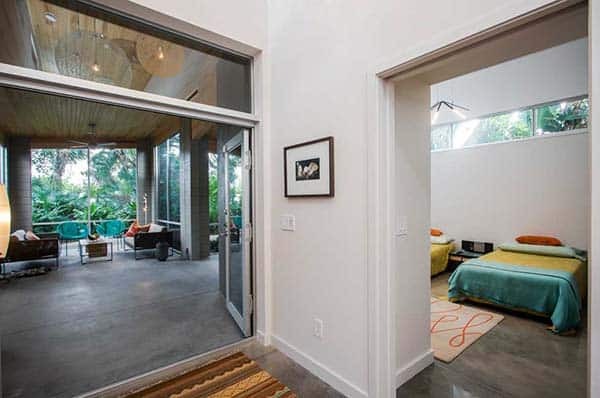 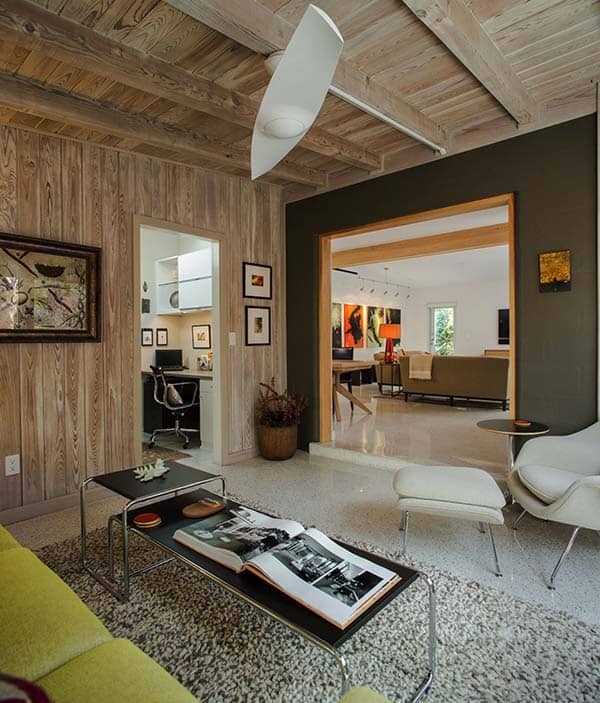 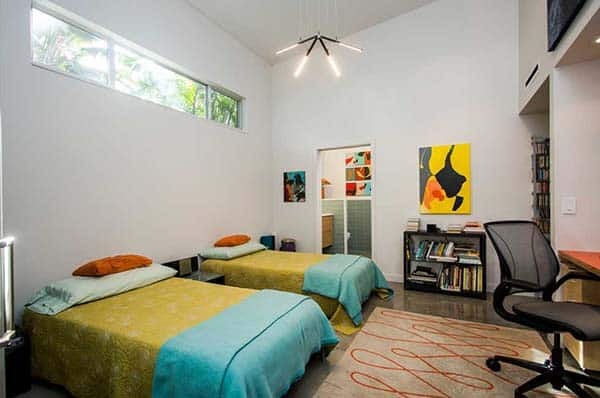 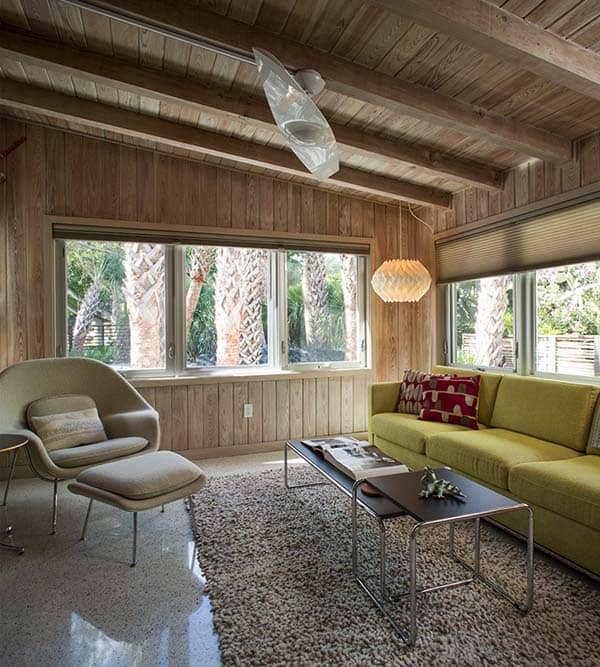 This fabulous mid century modern property was given a complete overhaul by architect Jon Barrick along with Dynan Construction Management, located on Venice Island, Florida. 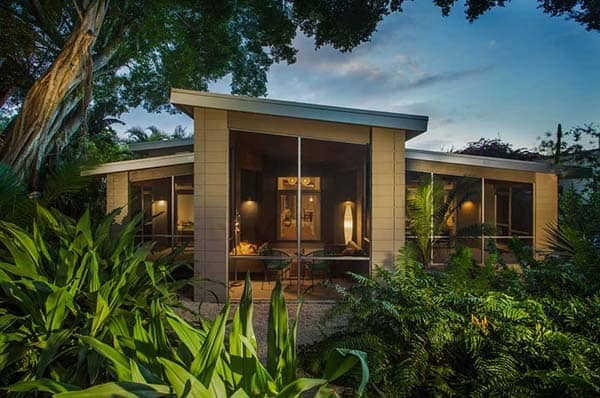 Originally built in 1959, the owners had owned this home for ten years as a vacation retreat from their life in Minneapolis. 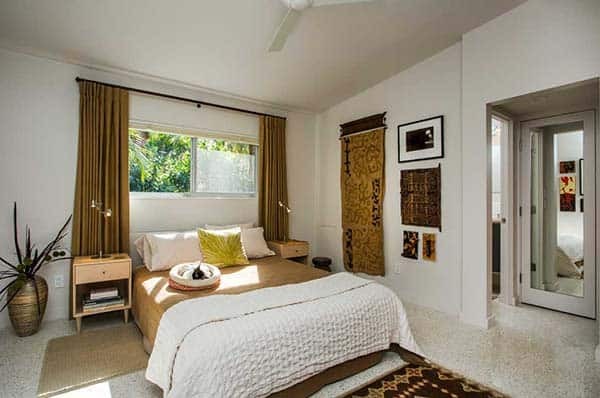 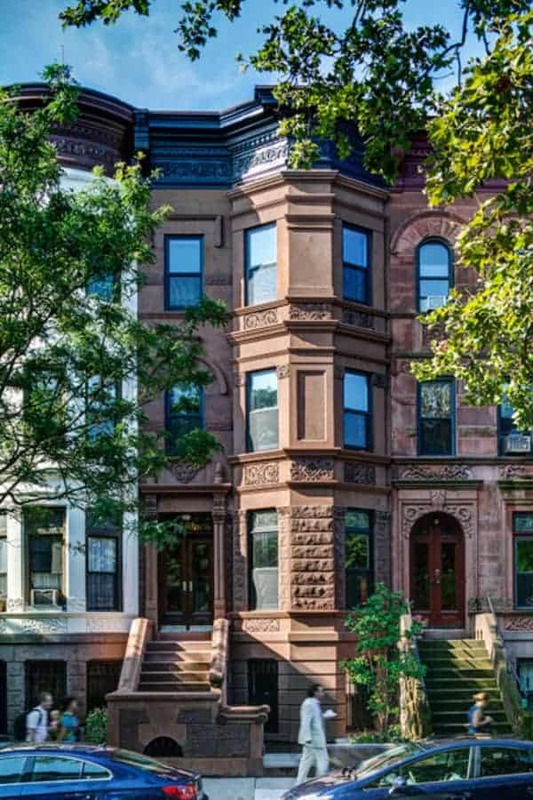 After retiring and moving in permanently, they felt that their kitchen was too cramped, the bedrooms too small and the outdoor space was not very usable. 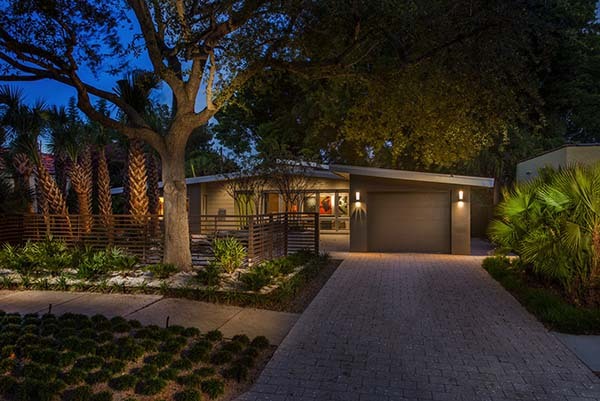 The homeowners have a love affair with mid-century modern, so they wanted to preserve as much of the architecture as possible, while adapting to their lifestyle needs. 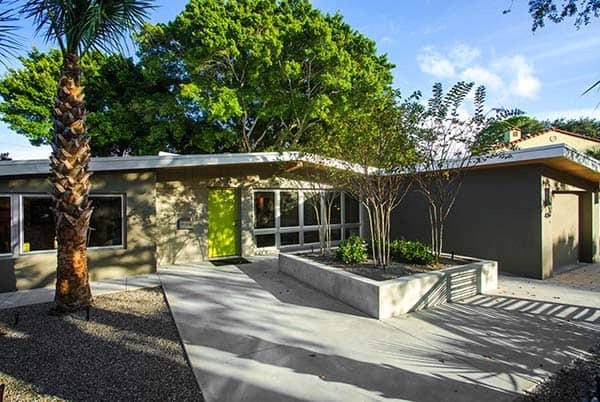 The rooflines were kept in tact, the terrazzo flooring was preserved and anodized aluminum frames were used for the windows. 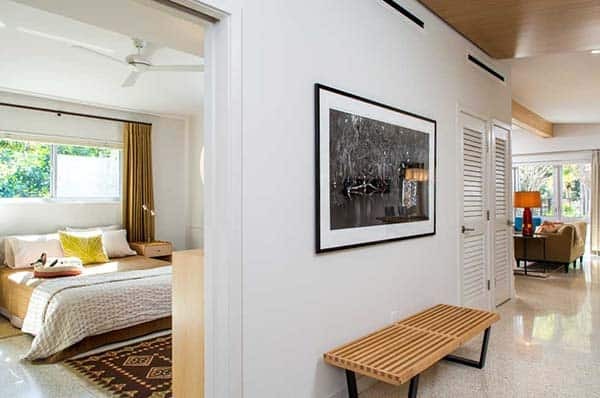 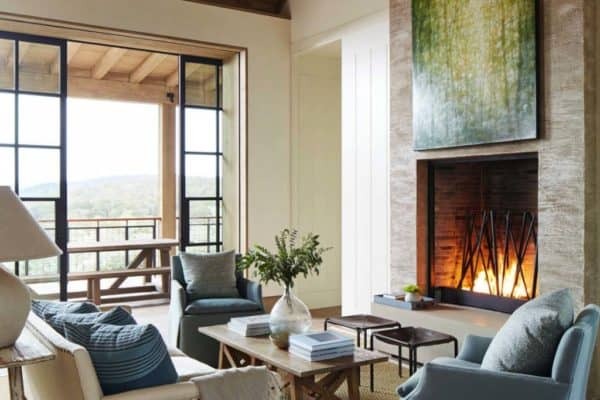 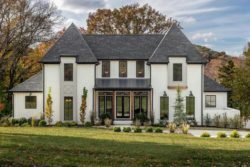 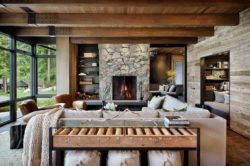 The design team created a seamless addition to the main living spaces, bedrooms were given en-suite bathrooms for guests and a screened-in porch was added to the back of the home. 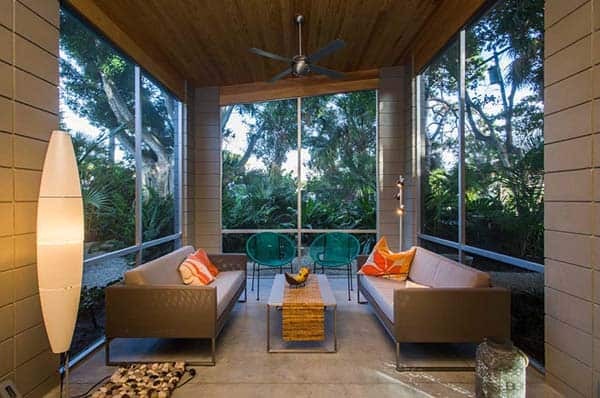 Cross ventilation was given careful consideration to take advantage of the ocean breezes through appropriately place windows. 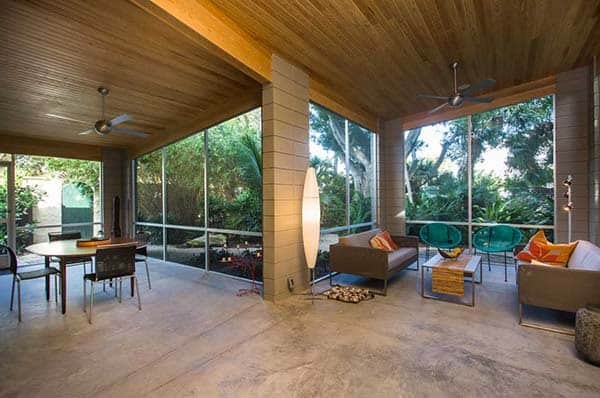 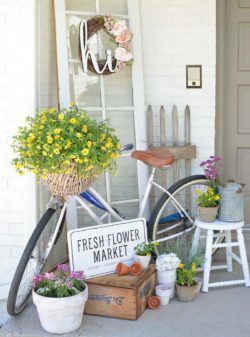 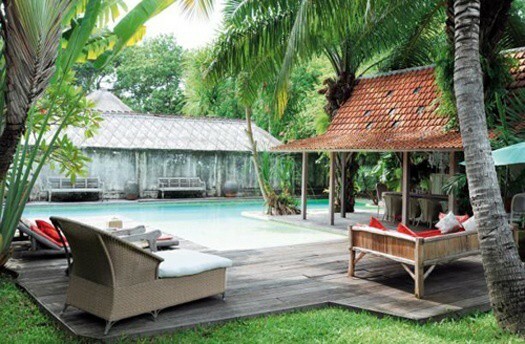 Indoor-outdoor living was of the outmost importance to take advantage of the Florida lifestyle. 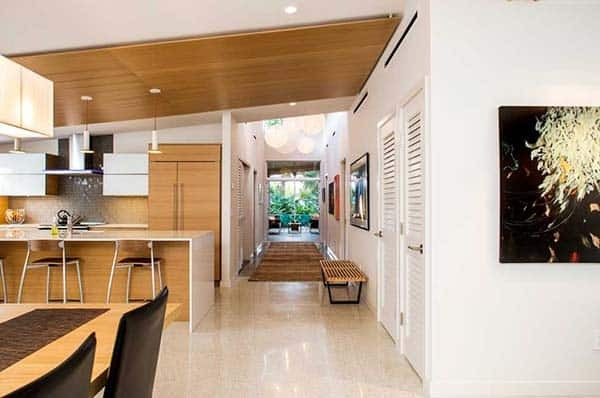 The side yard was used to add the extension, with existing interior walls demolished so that the new kitchen could open up to the living and dining spaces. 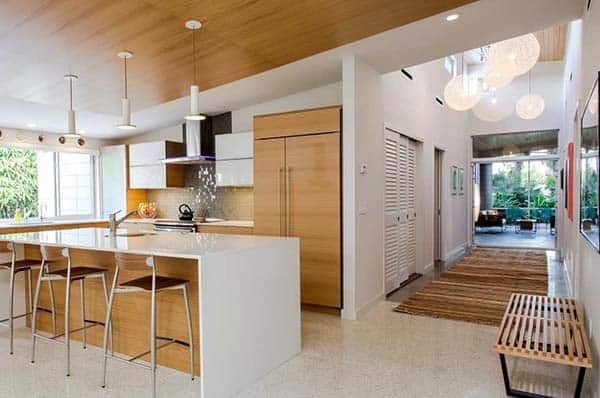 The open plan kitchen space then became the social center of the home, thus a great space for entertaining guests. 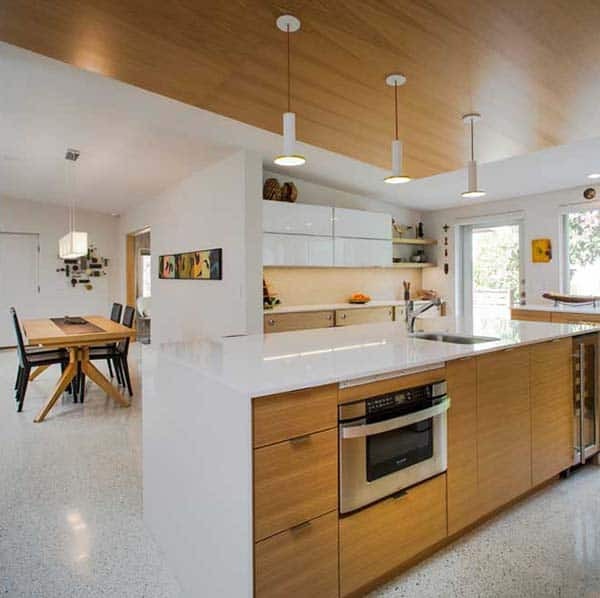 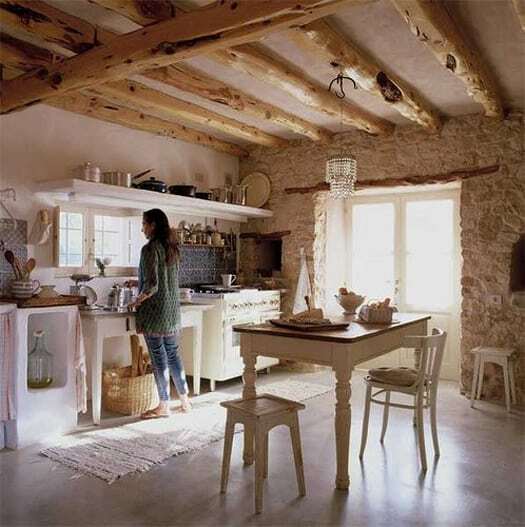 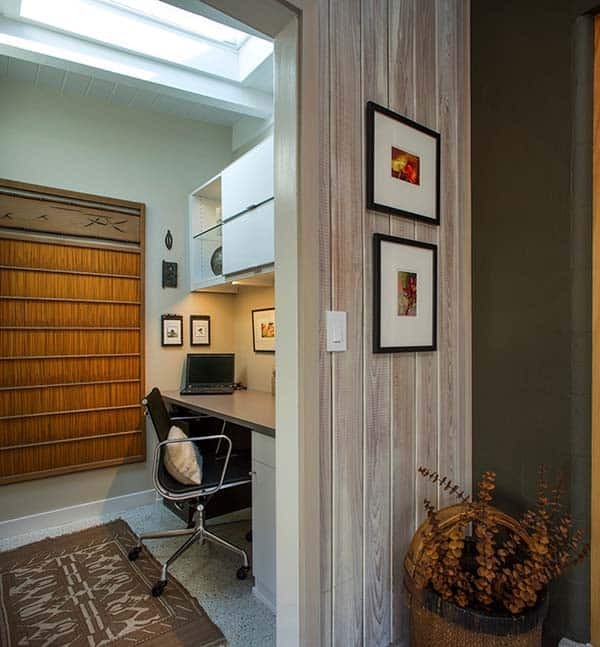 The existing slope of the roof was preserved by sloping the ceiling in the kitchen to the outside perimeter. 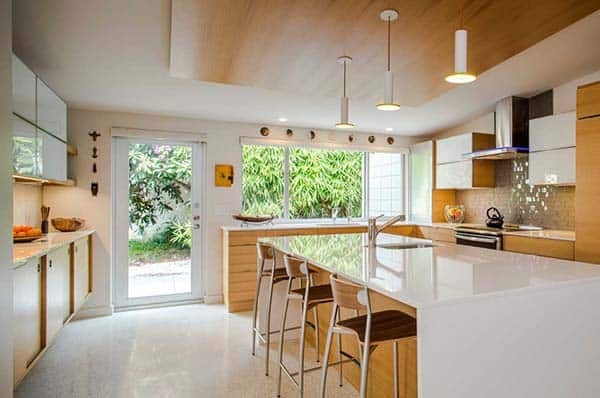 A large picture window was installed in the just above the kitchen counter to counteract the low ceiling and infuse the space with light. 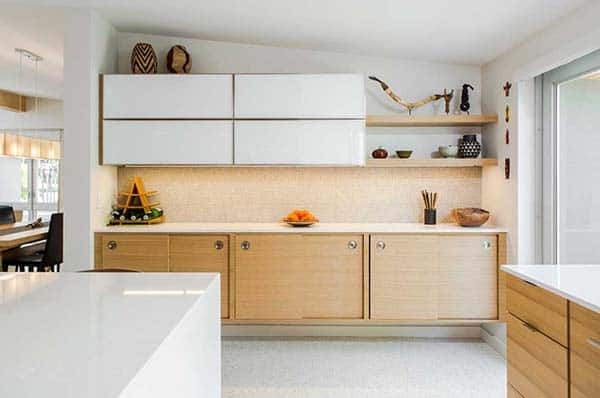 The kitchen cabinets are comprised of rift-cut, white oak slab in a horizontal grain with the upper cabinets designed with white glass and aluminum framing, creating a beautiful contrast with the wood. 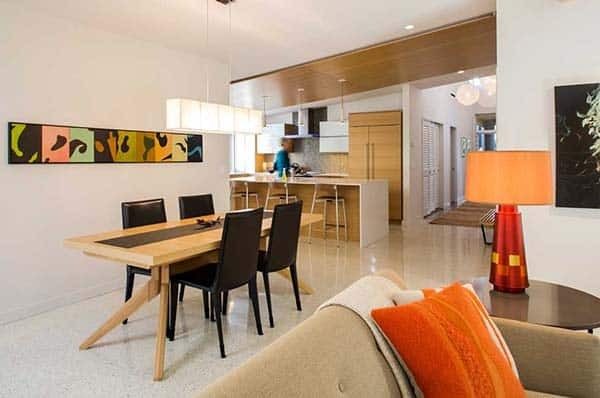 Silestone countertops and a waterfall island detail completes the look, creating a real showstopper. 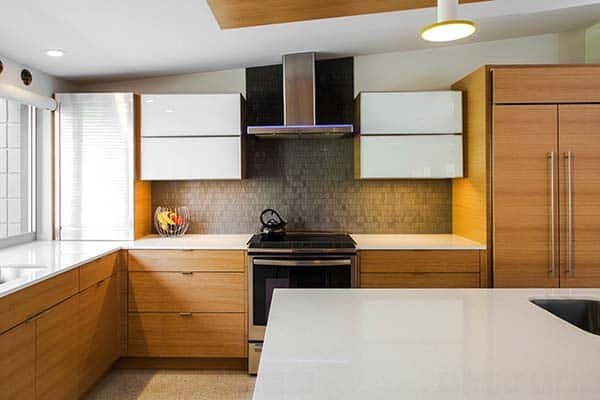 The kitchen is connected to the outdoors with sliding glass panels that folds into the wall, blurring the borders of indoors and out. 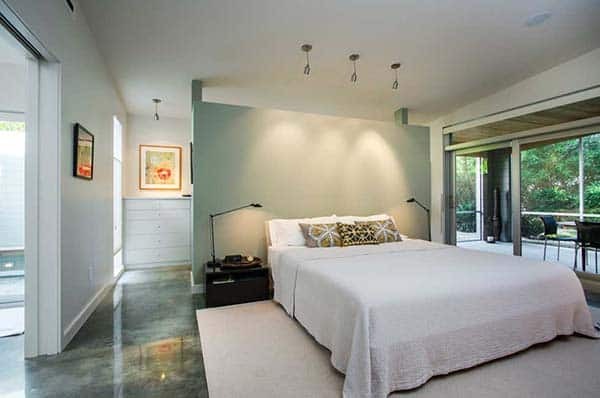 We love your feedback here on 1 Kindesign, what do you think of this fabulous transformation? 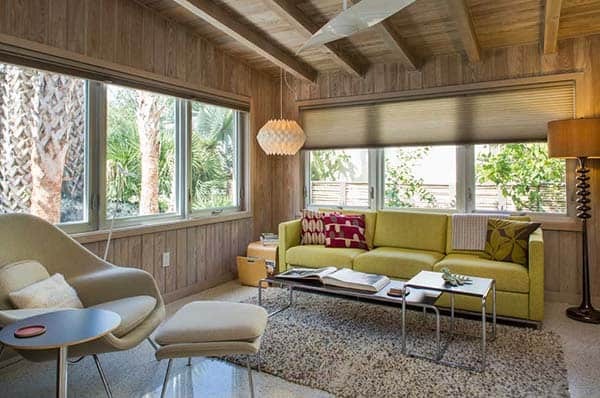 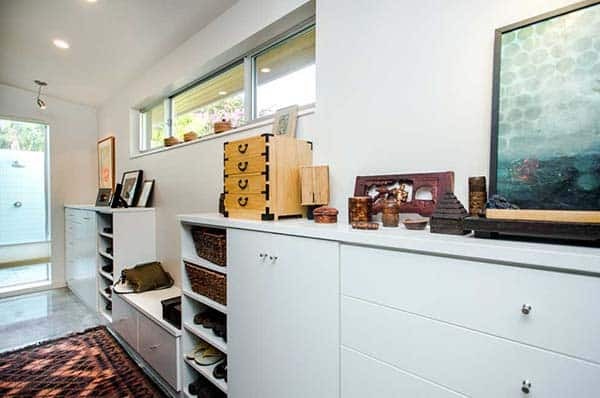 Do you love mid-century design? 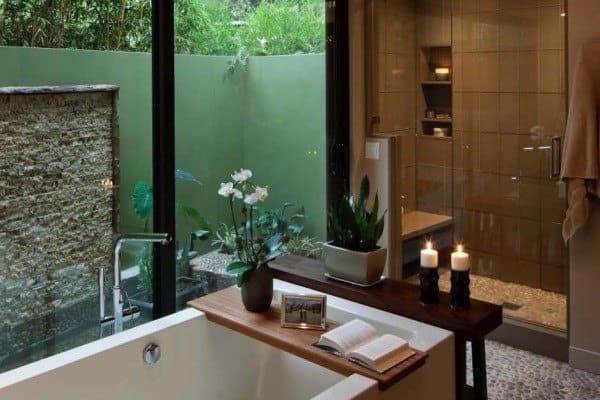 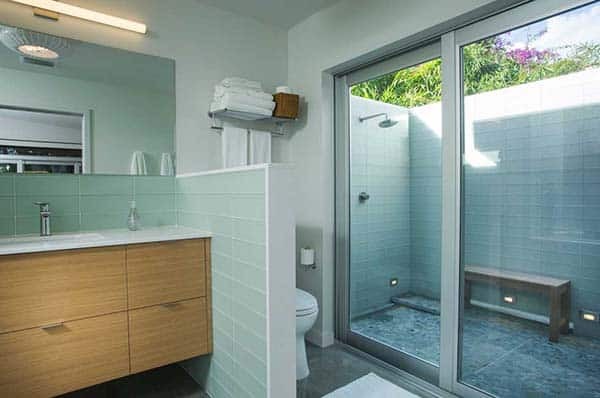 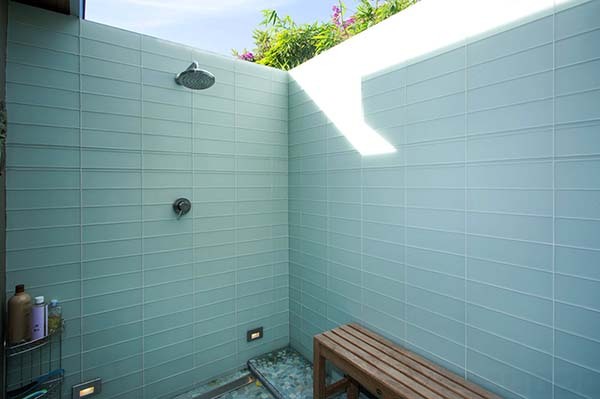 There are three outdoor bathrooms in the home, the master bathroom features an outdoor shower which the homeowners take advantage of using on a daily basis. 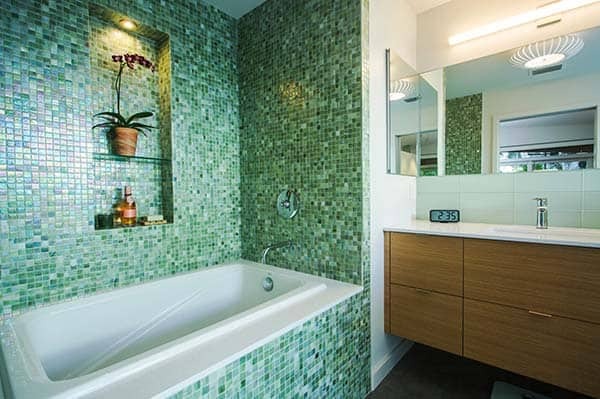 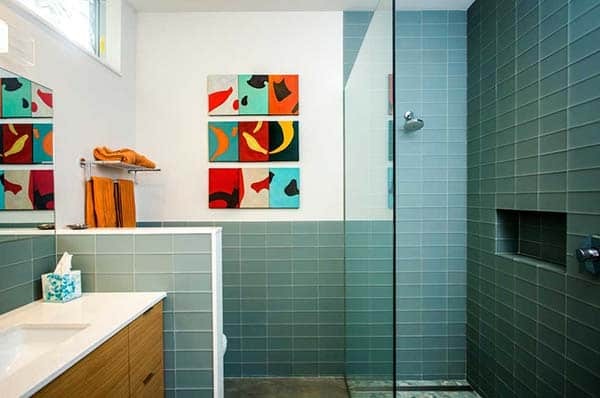 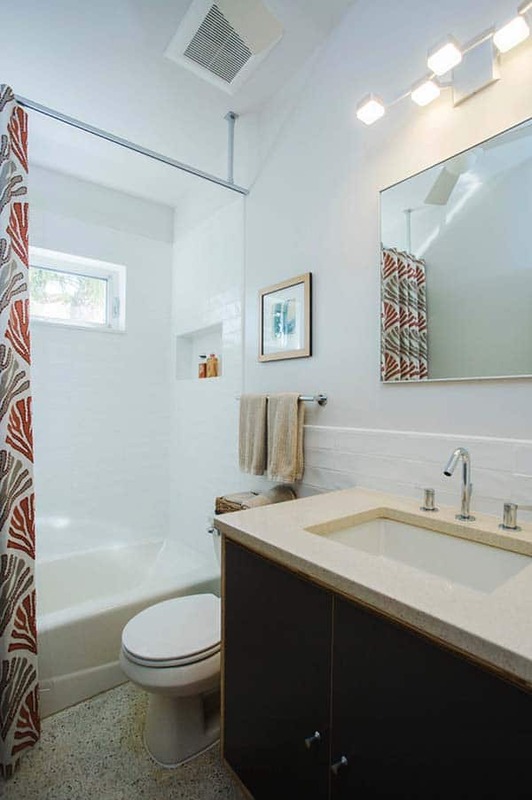 This space was carefully renovated, offering a a beautifully tiled deep soaking tub by Kohler. 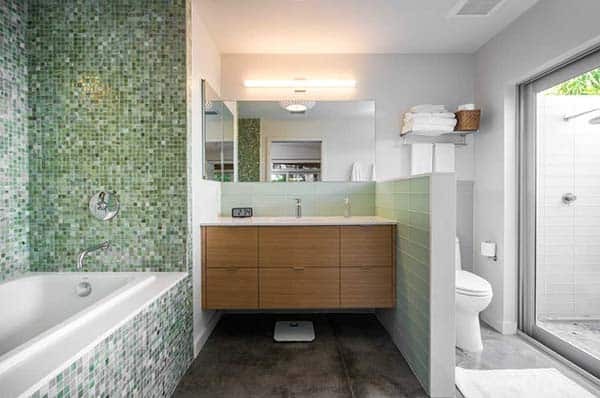 Since there was limited space, only one sink was selected so that there would be enough counter space.